When i evolve Nincada to Ninjask, this error pops up. 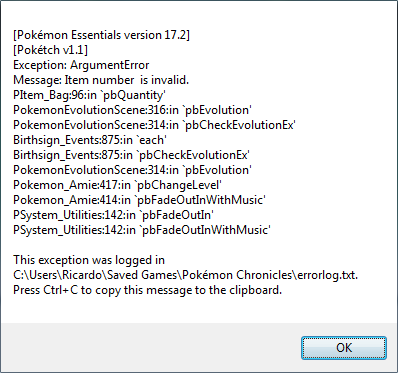 I didn't mess the codes for nincada evo, so i don't know how to fix it. Can anyone help me with this issue by telling me what i need to check or fix, please? I don't have a clue. You have a custom evolution scene script. Look at that. Edited: I have a custom evo scene that was not madded by me. But i've found the problem and i fixed it. It was a problem about an item name on a line. Now it works normally. Maruno thx for the tip/hint.